KAMPALA – Bugangaizi Member of Parliament Onesmas Twinamasiko was on Wednesday forced to accept to look after a child he is suspected to have sired outside wedlock. 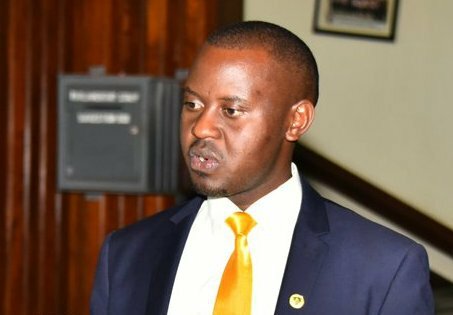 The legislator appeared before Youth and Children Affairs minister Florence Nakiwala Kiyingi after one Aisha Kyomugisha reported that he had denied paternity of the child. He was given a written document, ordering him to look after the child and her mother. He then gave Kyomugisha the mother of the child UGX300,000 for the child school fees, a monthly stipend of UGX250,000 and transport of UGX40,000. This came after the Children’s Court on Wednesday also ordered for a DNA test to confirm the paternity of the child. According to Ms Nakiwala, the action by the ministry against the legislator should show parents that children also have rights. “Parents do not know that the 2016 Children’s Act has given children a lot of powers. A child has a right to protection, information, education, nutrition, health, maintenance from birth until the child is 18 years,” she said. She said many such cases are reported daily. “You will find cases, where mothers have assigned children to different fathers, cases where fathers are not sure whether they are the fathers, other people, are raising children who are not theirs’ but the DNA test confirms the parenting,” she said. The minister also revealed that many young girls were impregnated by Chinese expatriates working on different projects in the country and abandoned. According to the minister, they have been able to intercept some of the expatriates who impregnate the girls. She said on average, they receive 70 cases daily. In some cases, the counsel both parents and reconcile them after sensitize them about child rights. In cases where they cannot, they take them to higher authorities. Asked how parents get to know about the court, she said it is by word of mouth because the law does not allow them to advertise since it infringes on the children’s rights.